Claire has always been fascinated by animals and graduated from Aberdeen University with an Honours degree in Zoology in 1998. After this she travelled to Australia to participate in field work projects involving dispersion and habits of Koalas and the mating habits of the Sleepy Lizard. 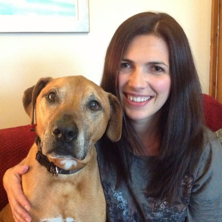 Claire returned to the UK and completed a Masters in Applied Animal Behaviour and Animal Welfare from Edinburgh University in 2000 and has been consulting with owners of problem pets ever since. She joined Hearing Dogs for Deaf People as their Post Placement Training Officer, providing behavioural support for recipients and their dogs across the UK. In 2003 Claire set up her own behavioural practice at a large veterinary referral hospital in the south east and built up her clientele and experience. She trained as a Puppy School tutor and ran busy classes and led advisory talks for new owners. In 2005 Claire became a Full Member of the Association of Pet Behaviour Counsellors, the UK’s leading pet behaviour organisation. 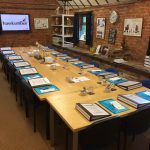 In 2009 Claire took over The Pet Behaviour Centre as the owner and principal consultant and continues to offer behavioural support to clients across the Midlands and surrounding areas. 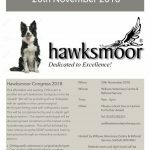 She is often busy writing and has so far authored 7 books on cat and dog behaviour and training, writes on the monthly expert panel for Your Dog magazine and has appeared in a range of dog breed DVDs. She wrote and featured in Claire Arrowsmith’s Puppy Training and Banishing Bad Habits which was runner up in the Dog Writer’s Association of America awards. Claire has appeared on BBC1’s “The One Show” and has featured as a pet expert on many national and local radio stations. Claire runs a behaviour clinic at The Queen’s Veterinary School Hospital at the University of Cambridge and has been a guest lecturer for veterinary students since 2009.